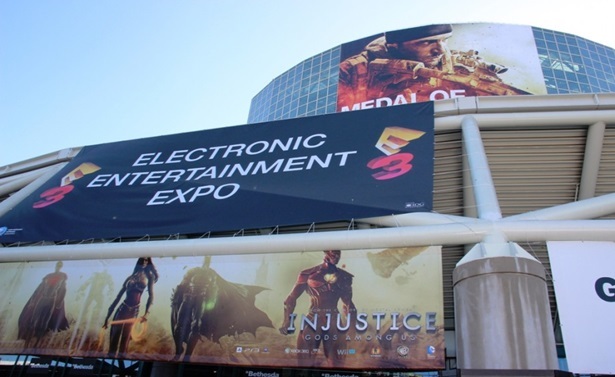 The biggest game expo in the U.S—the Electronic Entertainment Expo 2013—is upon us with only four days to go. Several big game designers and publishers will showcase their new wares to build anticipation, reminding us of their upcoming games to maintain hype; smaller designers will be there in hopes of showcasing their titles as well and garnering interest. That’s all the Expo or any large expo like this is about: getting your booth and garnering interest in your wares. You might have some hands-on stuff for media and expo goers, but that’s the main objective. This year, there are some other objective out of the big three of the gaming industry and a few others. In the case of Nintendo E3 2013 is a platform to attempt to re-sell gamers on the Wii U console. The thing with Nintendo is that they’ve never been aggressive with their advertising. Going into E3 2013 would’ve been a great chance to unleash the tiger on the more TV/entertainment-centric Xbox ONE. By presenting themselves as one of two main alternatives to the Xbox ONE and one of two “true” gaming consoles—the other in both cases being the Sony PlayStation 4 would’ve been definite plus. Nintendo will be taking a more modest approach to E3 with a booth and no actual presentation. Most of Nintendo’s E3 news will be via their Nintendo Direct which has already seen several new titles and big news announced, so it will be interesting to see what Nintendo manages to show off through Nintendo Direct. They are also doing a series of smaller showings and on the road promotion of the Wii U around and beyond E3, so they’re serious about getting this console more exposure and getting over the criticism of the console which is seems to be hurting it—especially stateside. Also to expect from Nintendo is some clarity on the first party titles they have planned for this year. The new 3D Super Mario title, the new Zelda title and the Zelda: A Link to the Past sequel, Retro Studios’ project, and more. Since they only have the 3DS to focus on and a six month head start on the Wii U, there will be much to go into on games. Don’t expect them to go too much into the recalling of white 8GB basic Wii U consoles from GameStop stores although they did discuss it briefly saying that it wasn’t a “recall” per se, but that the 8GB version isn’t as popular as the 32GB Deluxe version. It’s expected that Nintendo will put out a larger Basic version or something along those lines. In the case of Sony, this is their E3 to drop. This E3 is all about Sony vs. Microsoft, the PS4 vs. the Xbox ONE and the PS4 seems to have much more going for it on the positive side than the Xbox ONE which has a lot going for it on the entertainment side. Sony has already mentioned that it won’t be doing a lot of what Microsoft is going with its console, so the bulk of what they need to do at E3 are the essentials: showcase games from their first their first party as well as exclusives from third party developers. The multiplatform titles aren’t up from them to showcase aside from how they look on the PS4, but the publishers will show their own games. So something like sports titles—which are stock games—will be shown only because they’re expected. The actual console itself will be shown—of course—but also the many things that the PS4 can do. Most interesting to this observer is the live gameplay stream. As someone who truly enjoys watching gameplay on TwitchTV, this will be really intriguing to see how other PlayStation 4 users will be able to just view other player’s gameplay and give input or discuss the game while playing. In a way it could be a new frontier for Let’s Players, but it doesn’t allow for LPers to get revenue which is something a few have been looking into and why some will put videos up on YouTube or—if they have a sizable audience—go to TwitchTV and do ads between gameplay. So this isn’t something that would make the next popular Let’s Player, it’s more of a closed thing. Despite that, it would do pretty much the same thing: allow for spectators to view gameplay before committing to buying the game themselves. There are other things Sony are looking to demonstrate with the PS4 such as PS4 and Vita connectivity, maybe new stuff to the PSN, their relationship with indie developers (which Nintendo should jump on as well), and what else the controller can do—in action—but nothing that would seem wow-worthy on paper. Anything else would have to be seen. Of course, we all want to know about the games and their E3 first party roster leaked just a few days ago with titles Killzone: Shadowfall, infamous: Second Son, Drive Club, and Knack. E3 2013 will be most important for Microsoft here. The ball was dropped and rolled completely into the street after the initial reveal so this will have to be 90%-100% about games. There should be little to nothing about TV and what the Xbox ONE can do for you and your TV. That means they’ll have to break out with some truly wow-worthy stuff, show these supposed 15 exclusives off, make sure the majority of them aren’t just first person shooters (we’ve gotten to the point where they count as a collective), and truly clear up issues on borrowed games and such. They might also want to go into detail about where they plan to release the Xbox ONE. On that last subject, E3 will be viewed internationally and while Japan and other countries has their own gaming press and big expos—well Japan does anyway–there is the question of will the Xbox ONE have an international flavor to it. While no one wants to hear anything else about TV and football out of Microsoft, they don’t do well in Japan at all and perform pretty well in the UK. The thing here is that the Xbox ONE came off as extremely America-centric on its reveal. While one could say that in the same way Nintendo can ride on mostly first party titles, Microsoft can ride on the U.S alone, Xbox ONE will sell their consoles elsewhere. Will they provide content exclusive to those countries or will it be “Here’s some NFL!” for everyone? As far as game developers expect something regarding Star Wars from EA. If not Star Wars, then the usual with its sports titles and what not. It’s Capcom’s 30th anniversary year so they have something big planned (hoping for Breath of Fire, Bionic Commando, or Black Tiger), and Activision Blizzard will most likely showcase more Call of Duty: Ghosts and touch on Diablo III coming to consoles among other things. Basically all of the big developers will be present to promote what they have coming up. Besides big developers and their console wares, some will be showing off PC titles and some of those will be exclusive. There’s also Kickstarter darling Ouya which won’t be present at E3—in the physical building the Expo is being held—but they’ll be around. With an outdoor event in a vacant lot, the Android-powered console is taking it to the streets allowing for people to tryout the console and see what it’s all about before the June 25th retail release. There hasn’t been any mention on more games appearing besides Sega giving support to the console with their Sonic the Hedgehog 4 and Sonic CD titles. Other than that, the console is depending on users to make use of the development kit that comes with the console to make up the bulk of game library. Since Android is easy enough to develop with, there could be a big turnout titles. At least that’s the hope for Ouya. We will be covering E3 2013 bringing you the best of the day. What are you looking forward to at E3? What will you be following?